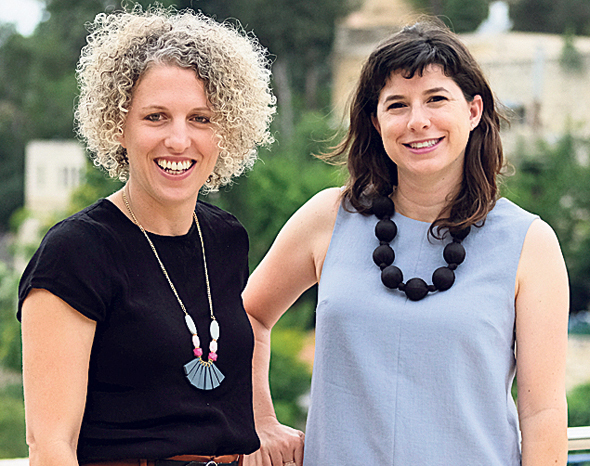 Priced out of the domestic real estate market, budding Israeli investors are looking to Greece, where a lengthy recession and a dire need for foreign money has caused property prices to plummet. Real estate prices in Greece dropped by as much as 40% in the last decade due to a prolonged economic crisis in the country. A 100-square-meter apartment in the center of Athens could go for about $332,000 (NIS 1.2 million), approximately a third of the cost of a similar apartment in Tel Aviv. Venture out of the city center, and you could find a similar apartment for as little as $166,000 (NIS 600,000). Greece’s rising unemployment—21.5% according to OECD data—and burdensome taxation policies have decreased domestic investment in real estate. As result, Greece has put its assets on sale to the highest bidder, and Greek Prime Minister Alexis Tsipras has been urging foreign investors to get into the Greek real estate market. Rub paints a portrait of E&R’s average investor as a man who is 30-years-old, is Tel Aviv-based, who has some money saved and is a first-time real estate investor. While most of their investors are bachelors and young couples setting out for their first real estate adventure, Yaniv and Rub said they work with investment groups and with people headed for retirement. “Most of the apartments end up on Airbnb, and yield a 5-6% return on investment, after taxes and fees,” Rub said. Tourism is the reason many investors in Greek real estate are undeterred by the continuous crisis. While the economy is being slowly rehabilitated, tourism to Greece is thriving, accounting for nearly a fourth of the country’s GDP in 2017, according to data by the World Travel & Tourism Council (WTTC). 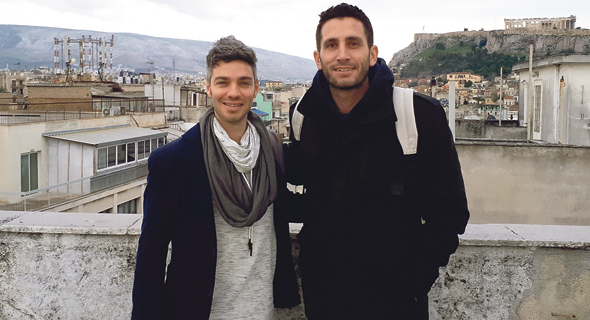 Israeli entrepreneurs Tomer Shuv and Tohar Haimovich run a real estate agency specializing in Greek properties. The two invest in entire buildings, converting the apartments into vacation rentals. “We now own nearly 100 apartments, having invested about 10 million euros,” Shuv told Calcalist. 50-year-old Sigal Cohen, an Israeli who works in a Tel Aviv theater, recently paid 34,000 euros for a 40-square-meter apartment in Athens’ Ilisia neighborhood, which houses the University of Athens. She now rents the apartment to a student for 300 euros a month. Cohen told Calcalist she has already convinced two colleagues to invest in Greek real estate. The 2004 Athens Olympics is widely considered a turning point for the country’s economy. A cultural flourish and a winning streak that included the Eurocup in 2004 and the Eurovision Song Competition in 2005 made way to the longest economic recession in Greece’s history. Images of the decrepit Olympic village, with its graffitied walls and polluted pools, have become a visual metaphor for the state of the country. The Greek recession hit rock bottom after the global economic crisis in 2008, which brought the country to the brink of bankruptcy. The rigid budgetary targets Greece's creditors had imposed on the country were rolled onto the citizens in the form of new tax laws. In the last decade, a progressive income tax, solidarity tax, and independent employment tax were piled on in addition to existing taxation schemes. Taxation on rental income has gone up 4%, and the ENFIA, a property tax that has become a symbol of Greece’s recession, is weighing down property owners. These new taxes, in addition to a rise in the costs of living in Greece, has caused many citizens to shed—or scale down—their homes and apartments. Many others had their properties foreclosed. Some 20% of real estate in Athens is abandoned, and aside from the tourism, there is very little real estate development. Russian and Chinese investors lead foreign investment in Athens real estate, according to a December 2017 Bloomberg article. One main attraction is the Greek Golden Visa program, which offers residency to investors spending at least 250,000 euros, and serves as a door into Europe. When Yaniv and Rub first began investing in Greece, everyone told them they were crazy, Yaniv said. Recruiting their first investment group required no small amount of pleading. 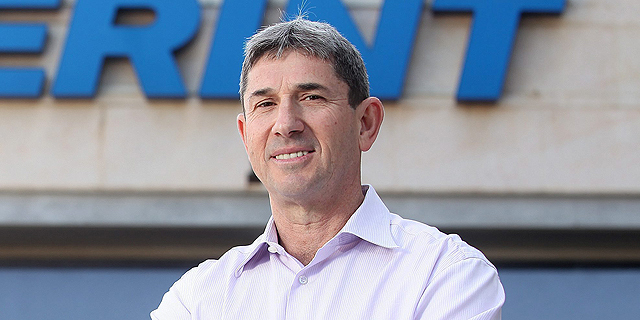 Within six months, Yaniv said, that first deal yielded a 50% return. “The potential in Athens is great because while the economy and real estate market is in recession, the city is full and tourism is on the rise. Flights to Greece are always packed,” Yaniv said. 20,000 euros can no longer buy you real estate in central Athens, Shuv said, but there are endless opportunities in up-and-coming neighborhoods like Omonia, Kypseli, and Exarcheia. “For us, the most attractive neighborhood is Psyri,” Haimovich said. In the past, Psyri housed Athens’ textile and leather industries, but has since fallen into disrepair. Gentrification began slowly in the late 1990s and early 2000s. In recent years, the neighborhood has become popular with tourists. It now houses many Airbnb rental units, boutique hotels, and restaurants. According to Haimovich, vacant industrial spaces on the outskirts of Psyri could go up in value in the future. While the Israeli economy is stronger than the Greek, young Israelis are finding it exceedingly difficult to maintain high living standards in the face of rising living costs. Becoming homeowners is out of reach for most. 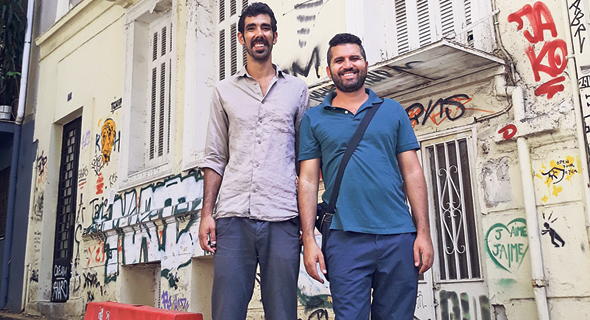 Jaffa-based entrepreneurs Almog Ivgy and Ron Ohayon focus their investments on Athens’ Exarcheia neighborhood, known as a home of the city’s anarchist movement. Similar to Tel Aviv’s southern neighborhood of Florentin—which is known as the city’s hipster neighborhood—Exarcheia houses artists and immigrants, is architecturally eclectic, and its walls are covered in graffiti. Ivgy and Ohayon say they have already sold more than 20 apartments in the neighborhood. Their focus is now on projects that have an impact on the community. “We scout properties in the neighborhood that could be converted into communal work and living spaces, like WeWork,” Ohayon said. These spaces host activities for local residents and the two entrepreneurs offer discounts to artists in exchange for helping with building maintenance, Ohayon said. Some Israelis do not share these optimistic views about Greece. Those who warn against investing in the country stress the high unemployment, the growing public debt, and Greece’s frayed relations with other European countries. In addition, Greece’s failing economy is slowing down bureaucratic processes that are nearly instantaneous in Israel, like registering properties or receiving a document showing that the property is free from encumbrances. Political unrest is another warning factor. In 2015, the Coalition of the Radical Left (SYRIZA) won the election. The third largest party is the far-right Golden Dawn (XA). Israeli poet and translator Rami Saari, who divides his time between Tel Aviv and Athens, told Calcalist that one has to be blind to ignore the rising popularity of the Golden Dawn party. The political party is gaining followers by providing education, food, and health services to the unemployed, but only to those who are “truly greek,” he said. Far-left organizations are also gaining momentum. The We Won't Pay movement is calling on citizens to stop paying for water and electricity, and have been known to infiltrate auctions of foreclosed properties and attack those involved.